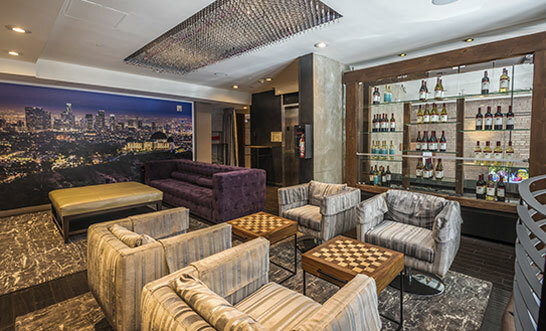 The O Hotel offers unique meeting and event spaces for intimate groups, conferences, and private dining parties. Catering can be provided in most areas by O Hotel. 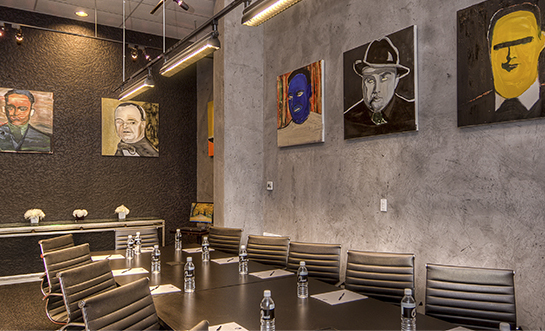 The Mafia Room is a private conference room that accommodates up to 16 guests. It is equipped with high speed internet access, as well as a small business center available in-room at no additional charge. LCD Projector is avaible for rent at an additional charge. The Mezzanine is perfect for a dinner party or cocktail reception. 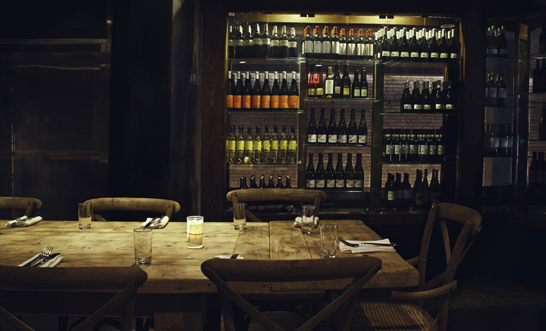 The Mezzanine accommodates up to 16 guests for a seated meal, and up to 32 guests for a reception. 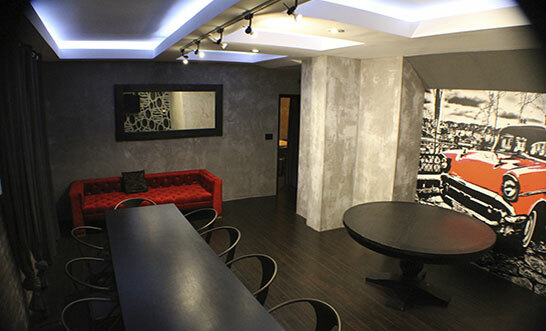 The Vip Room accommodates up to 16 guests for private dinner, casting room, or focus group. Just baked assorted pastries & croissants, orange juice, freshly brewed decaf and regular coffee, hot tea assortment, bottled water. For parties of 10 or more guests, enjoy an innovative menu prepared specifically for your group. Chef vahan’s family meal menus are based on market availability, seasonal conditions, and the overall style of your gathering. The offering of family meal is based on the whim of the chef, though dietary restrictions dish suggestions and requirements are gladly accepted. Beverages are not included. Courtesy of bari kitchen. Catering orders must be placed at least 5 business days in advance of your meeting to ensure timely execution of your event. A signed banquet event order, EVENT AGREEMENT, AND CREDIT CARD AUTHORIZATION FORM (ISSUED BY YOUR SALES MANAGER) WILL CONFIRM YOUR ORDER.